Delhi is all set to conduct the elections in February 2015. Inclusive strategies are set by all major political parties for effective campaigning in the city. 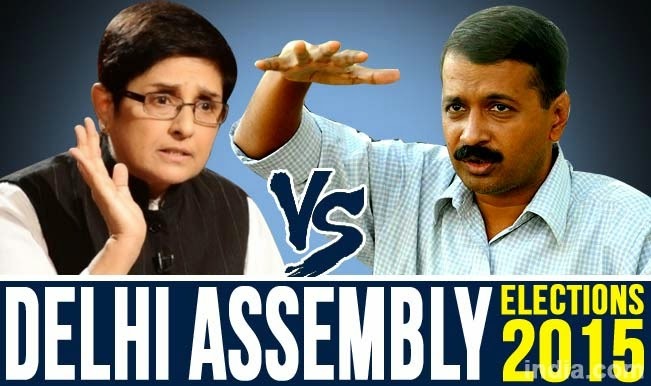 There will be vastly an AAP (Aam Aadmi Party) versus BJP (Bhartiya Janta Party) affair in the elections. Who will get maximum votes? Who are the candidates for the elections? Let’s have a look at the below information to get the all answers. It seems that AAP is going to give tough opposition to BJP and it might not be capable to reach the clear majority mark. Moreover, here we have a complete schedule of Delhi elections 2015. Have a look at it. For more information you can visit the CEO delhi website at ceodelhi.org.in where you can also find the voters list of delhi voters, Vidhan sabha election. You can see the schedule of Delhi election 2015. The date of poll is 7th February 2015 and counting of votes will be done on 10th February 2015. The Delhi election result will be announced on 10th February 2015. Let’s know more about the Delhi election opinion poll. The latest opinion poll for Delhi election shows a vital lead for the AAP (Aam Aadmi Party). The poll arranged by ABP news – Nielsen resulted in 50% votes for AAP and 41% for BJP and the congress party with 9%. The opinion poll conducted by India TV- CVoter recommends that BJP will get 47% votes, AAP will get 40% votes, and congress will get 10% votes in the Delhi elections. In addition, the survey said BJP will get 37 seats, AAP will get 28 seats, and the congress party will go down from 8 to 5 seats. According to the opinion polls it seems that BJP and AAP will have a tough competition. We wish for the best result to come out! The Delhi election result 2015 date is out and it will be very interesting as well!